High Power LED Strip, 5pcs / Strip, One Pc LED 3W. 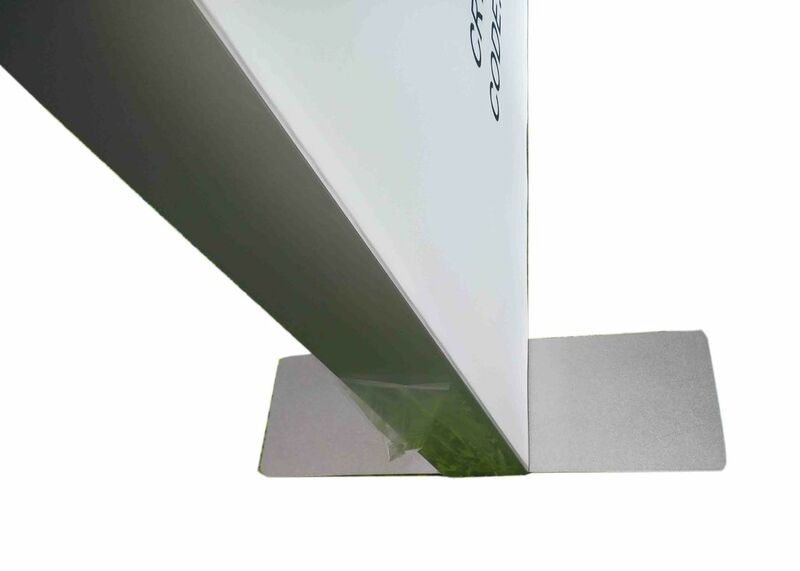 Doubles sides 6cm Width PVC soft tension background is an innovation signage with both advantage of light box and display.It’s made of extruded aluminum 6cm width which is well cut 45 degree to and drilled, easy for user installation. Due to the convenience of disassembly the sign , it is saved lots of transportation cost. The light boxis using high power lens LED strip single LED 3W power ,special design for large billboard lighting solution which can make sure long time service and even brightness. Media Graphic Soft PVC Film with UV printing and sewing slilicone rubber strip. Eletricity unit High power 3535 LED strip bar with lens as light source, strip length with 56cm. 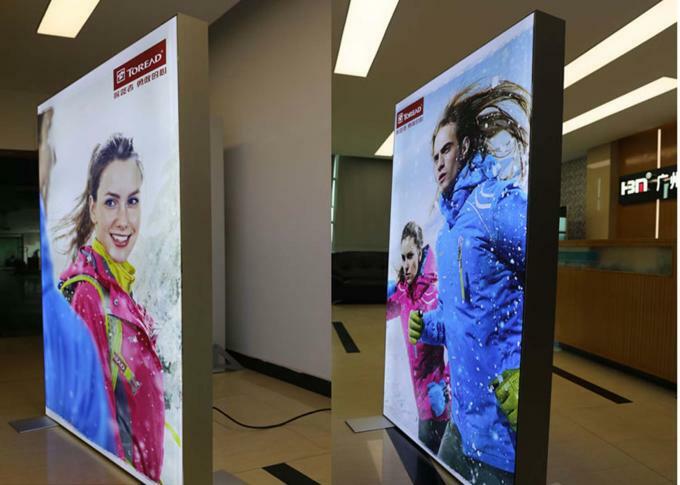 we can make sure the proper LED based on the length of longest size of the frame. Each LED bulb with 3W and good heat cooling aluminum plate. Transformer used long shap which can be fit in the middle channel of the frame. It’s hidden the transformer insdes to makes sign with best outlooks. Packing Frame can be separated and banded in an package,saving the CBM. Convienent for transporation,saving shipping cost. The framing fabric system can be found in most major fashion retail environments, car showrooms and supermarkets. It is also used extensively by major exhibition companies. Light source: High Power LED Strip, 5pcs / strip, one pc LED 3W.